Brainflight is the shared project of four organizations – TEKEVER (Project Coordinator – Portugal), Champalimaud Foundation (Portugal), Eagle Science (Netherlands) and Technische Universität München (Germany. 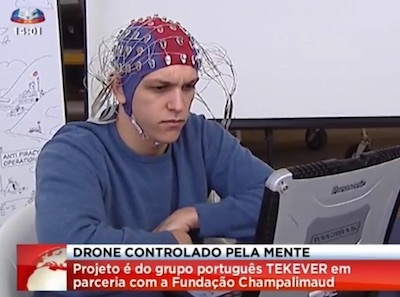 The goal - that aircraft can be directly controlled by the human brain. “The project has successfully demonstrated that the use of the brain computer interface (BMI) on a simulator for the Diamond DA42 aircraft, where one pilot controlled the simulator through the BRAINLFIGHT system. We’ve also integrated the BMI the UAV ground systems and have successfully tested it in UAV simulators. 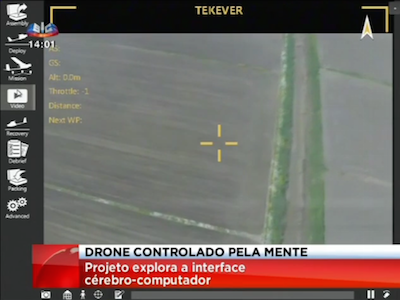 We’re now taking it one step further, and performing live flight tests with the UAV.”, said Ricardo Mendes TEKEVER’s COO. BRAINFLIGHT uses a multi-disciplinary approach of combining aeronautical systems engineering with neuro-science research. The project explores two different brain-computer interface (BCI) approaches. For this purpose, researchers have used the BCI system in a four seat, twin engine, propeller-driven aircraft simulator (the Diamond DA42). 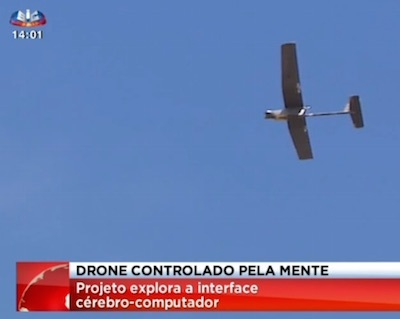 The final step in the project is the validation of the BCI approaches through control of an Unmanned Aerial Vehicle (UAV) in real flight. I encountered this idea about thirty-five years ago. Science fiction movie fans of course recall the Firefox, the wonderful thought-controlled fighter plane developed by the Russians, and stolen by Clint Eastwood, in the 1982 movie Firefox.